Remembering that perfection is the enemy of the good, I am restarting this blog even though I’m not really ready. I plan to circle the north shore of Lake Superior in May 2018 after I pick up a brand-new, custom 13′ Scamp Travel Trailer in Backus, Minnesota. Much more on that later. Currently, I am spending a week on the glorious shores of the Georgian Bay in the town of Thornbury. This is my second year here having fallen in love with the place and the town last August. Right outside my first-floor studio is the Thornbury marina and the Georgian Bay. It’s kinda paradise. I am taking photos and long walks on and off all day. I had perfectly cooked basted eggs with crisp bacon and home fries for breakfast at The Orchid. I bought large nautical maps of Lake Superior and the Georgian Bay at Gyles Sales and Marine. I walked around this four-corner town visiting the wonderful Jessica’s Book Nook and buying a tuna curry sandwich for dinner at Ashanti’s. Locals are warm, curious and have eyes that crinkle when they smile. I’ll post my own images here soon so stay tuned! For now hoping your life is good and includes travel to places near and far. I’m leaving you with an image of the area I found by Brian J. Gibson to give you a feel for the beauty of the Georgian Bay. 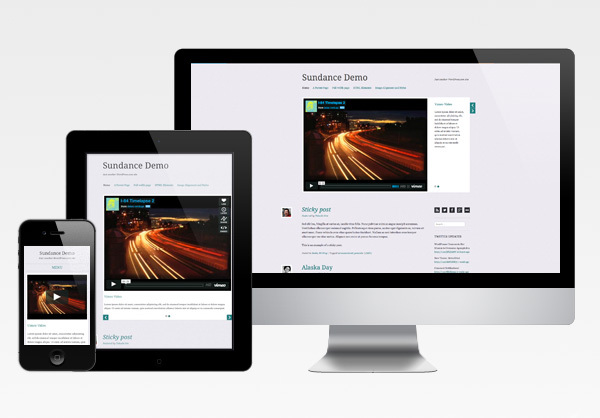 So glad to finally find a fully responsive modern theme for this blog. Gearing up to circle Lake Michigan in August so will start posting plans and opportunities. I’ve been following the journey of Loreen Niewenhuis since she started walking Lake Michigan in 2009. I also read her book about the walk that I purchased at my local Ann Arbor independent bookstore, Nicola’s. Then today I read an update about Loreen’s 2012 adventures in an article by Catharine Hadley. All I can say is wow! Hope you take the time to read the article especially about how the walking makes Loreen feel. I share those feelings and I’m sure they will resonate with others. You can follow Loreen’s journeys on her blog and by liking her on Facebook. In terms of my own journey around the lakes, plans and preparations are in full swing. Spring fever has a strong hold on me and I’m excited about my August adventures circling Lake Superior. Right now I am completing various projects at home and in world of digital photography. Then in a few weeks I’ll have my motorhome, Ecovision, dewinterized and upgrade her house batteries. I’ve begun making detailed plans for the journey as well as writing a Great Lakes islands book proposal that I sketched out years ago and has now been requested by a publisher. Much fun and, of course, lots of hard work. Fortunately, I have 25 years of Great Lakes policy work to draw on and I’ve been to various locations around all of the lakes. I was born in Detroit and began boating on Lake St. Clair with my family when just a baby. 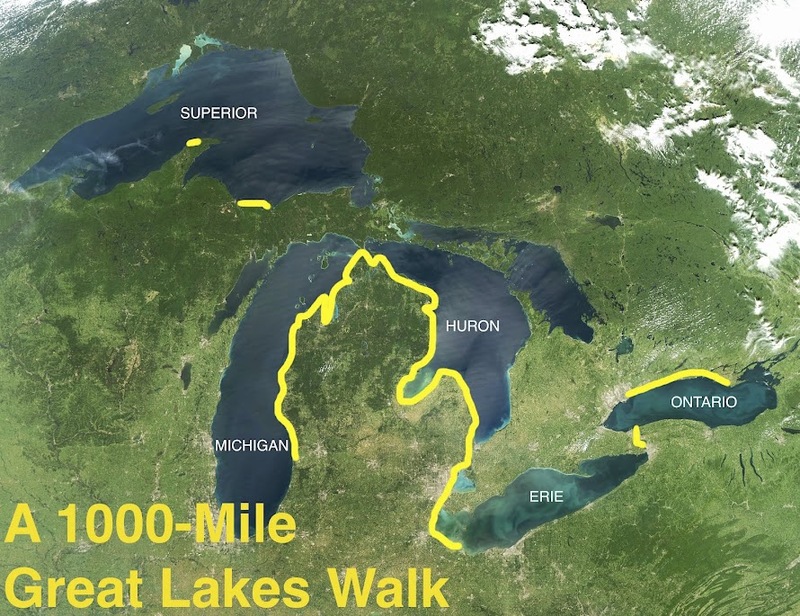 I have lived all but three years of my life in Michigan, which is the heart of the Great Lakes ecoregion. Over time I have grown to love the lakes more deeply and to become even more committed to their long-term conservation and well being. They still take my breath away. Very soon I will start sharing here regularly so please stay tuned. You can sign up to follow this blog and also check out the full scope of my various activities including photography at karenvigmostad.com. In addition to @circlethelakes, I Tweet @aboutthelakes and @abouttheislands. Plans are underway for August launch of my first circling of the lakes. My dog, Henry, and I will head north to Lake Superior in my motorhome the RV/Ecovision come August 1st. I will be interviewing people, taking photographs, writing, hiking, and blogging as we travel slowly around the lake. After a long career in Great Lakes policy and conservation, it is now time to for me to deeply experience the lakes that I love. I look forward to meeting new people and exploring new places along the coasts and islands of this magnificent lake. 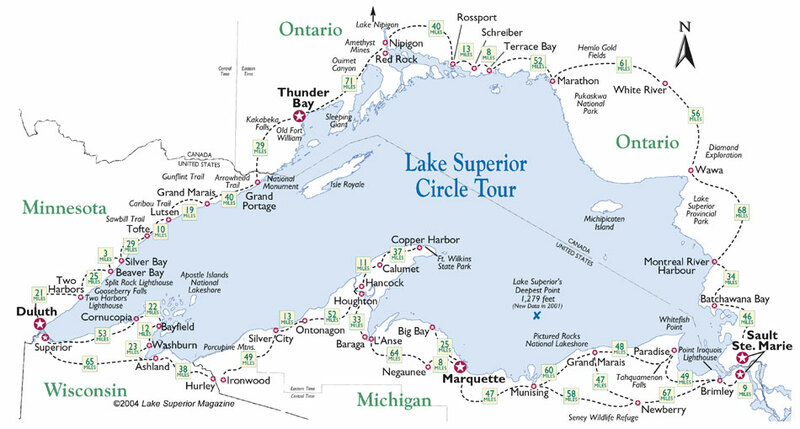 I’ll be using the information of the Lake Superior Circle Tour and taking copies of the beautiful Lake Superior Magazine. So please stay tuned!